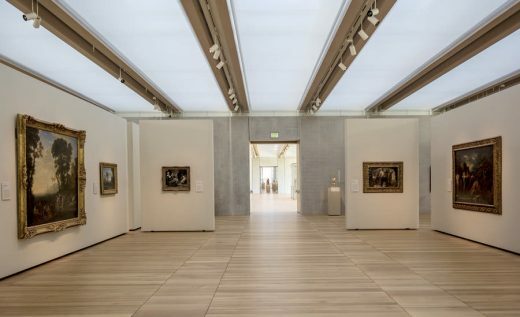 Fort Worth, TX — Designed by the Renzo Piano Building Workshop (RPBW) and Kendall/Heaton Associates, the highly anticipated expansion of the Kimbell Art Museum opened on Wednesday, November 27, 2013. Surrounded by elms and red oaks, Renzo Piano’s 101,130-square-foot colonnaded pavilion stands as an expression of simplicity and lightness—glass, concrete and wood—some 65 yards to the west of Louis I. Kahn’s signature cycloid-vaulted museum of 1972. 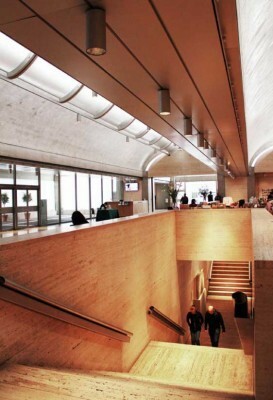 Inaugurating the Renzo Piano Pavilion will be an exhibition of masterworks from the Kimbell’s permanent collection. In the south gallery, European art will be featured, including paintings by Michelangelo, Caravaggio, Poussin, Rembrandt and Boucher and sculpture by Donatello, Bernini and Houdon. 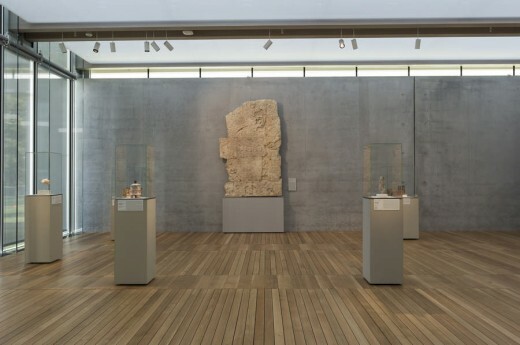 The north gallery will showcase superb examples of Precolumbian and African art, while the west gallery will highlight master paintings, sculpture and ceramics from the Museum’s collections of Asian art. The European collection will remain on view through mid-January, 2014, before returning to the permanent galleries of the Louis Kahn Building. 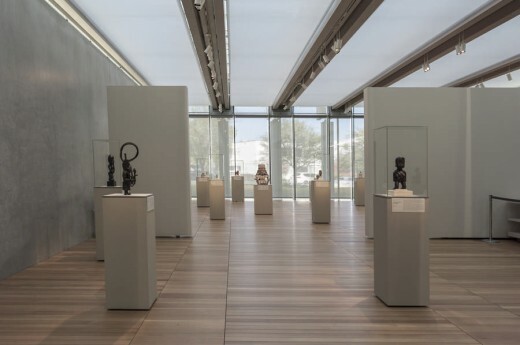 The west gallery and the north gallery will continue to display important examples of Asian, Precolumbian and African art from the collection. 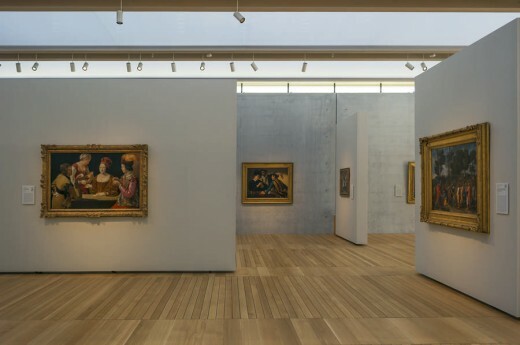 At the same time, the Kahn Building will showcase the Museum’s permanent collection of 19th- and 20th-century European art, including important paintings and sculpture by David, Delacroix, Turner, Manet, Monet, Cézanne, Picasso and Matisse. In the Kahn Building will also be seen The Age of Picasso and Matisse: Modern Masters from The Art Institute of Chicago, an exhibition offering visitors the rare opportunity to view many of the nation’s most renowned paintings outside their customary setting in Chicago. Kahn’s icon of modernist architecture will itself be in top form, having undergone a thorough restoration over the course of the last year. The Piano Pavilion is made up of two structures connected by two glazed passageways. 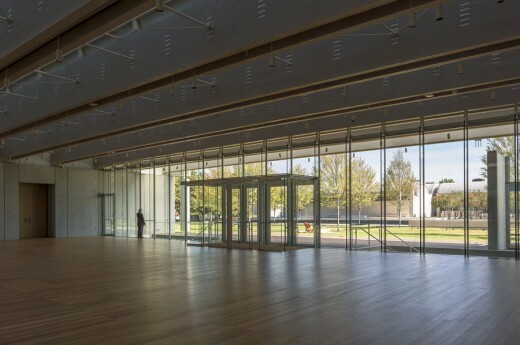 The front, or east wing, opens into a glass-enclosed lobby leading to two simply expressed galleries: here, coupled wood beams run north and south, the floors are oak, and the walls are perfect, long expanses of light-gray concrete or curtain glass. 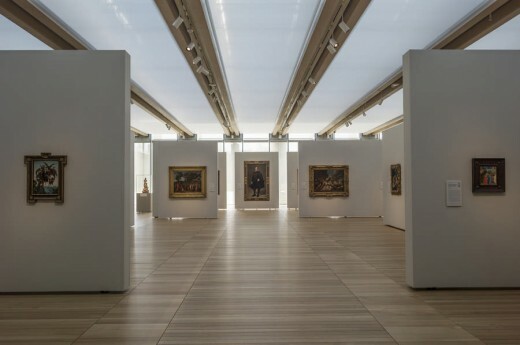 The beams support an elegant roof structure of steel and glass, fitted above with louvers that control the flow of sunlight and below with scrims that filter the light before it enters the gallery. 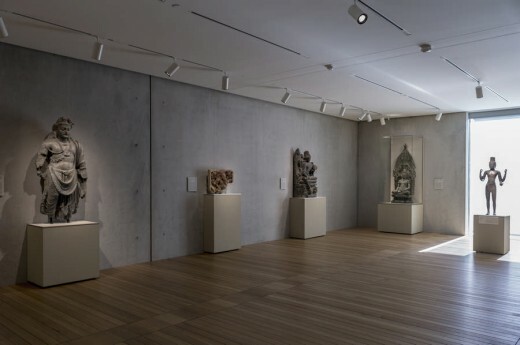 As spaces for viewing art, both galleries benefit from the presence of this natural illumination and, through their window walls, from the changing impressions of exterior weather and light. The principal function of the south gallery is to display temporary exhibitions; the north gallery, to show works from the collection. Glimpsed from the porch of the Kahn Building, the Piano Pavilion’s east wing conveys an impression of weightlessness: its recessed glass entrance is centered between crisp concrete walls that define the galleries to the north and south; a wafer-thin layer of glass hovers over the heavy steel and wood roof system; and the overhanging coupled wood beams appear to float above the exterior walls. 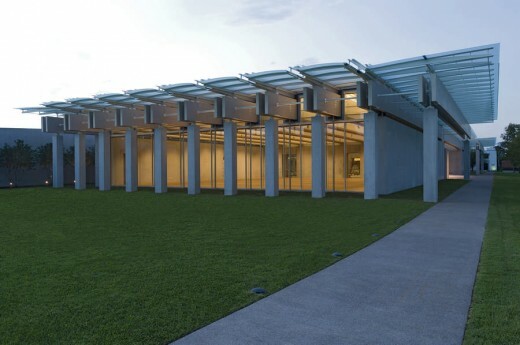 Approaching the Piano Pavilion, a visitor is aware of its transparency: through the glass lobby the eye moves to the walls of the west wing, sheltered beneath a green roof. Here, in the second of the two structures, unfolds the pavilion’s surprise: an auditorium with bright-red, raked seating plunges below ground to a stage, which itself is set against the backdrop of a deep and broad light well animated by shifting patterns of natural illumination, which shine through the whole structure towards the east. 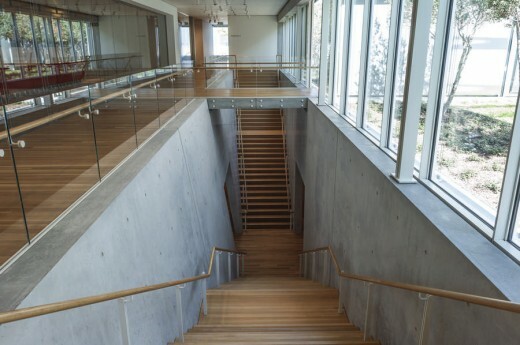 Deceptively spacious, the west wing not only accommodates the auditorium, but also houses the west gallery—a smaller exhibition space for light-sensitive works—as well as the Museum’s library and new spaces for education. But the relationship is one of contrast as well, notably in Piano’s choice of straight wood beams as a primary structural element for the roof, as opposed to Kahn’s curving, solid concrete vaults. 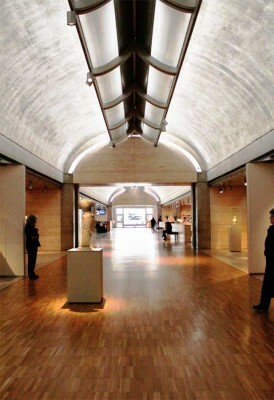 Twenty-nine pairs of 100-foot-long laminated Douglas-fir roof beams span the interior of the wing and extend outward as an overhanging canopy. 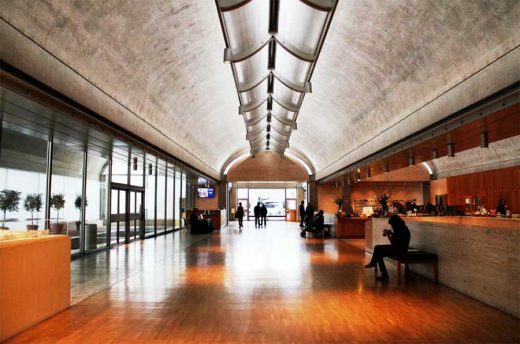 These beams contribute both dynamic rhythm and visual warmth in juxtaposition to the broad, cool surfaces of concrete; together they define the largely continuous, changeable and airy interiors of the east wing. As always in his museum designs, Piano continues to experiment with ways to animate and direct natural light, here with a roof system that is notable for its integration of the wood beams as the support for a system of north-opening aluminum louvers and solar cells, mounted above fritted glass and stretched, silk-like scrims. Within and outside the building, he manipulates light and provides unexpected sightlines by dramatically slanting some of the building’s walls. Canted walls also channel light in two sets of stairwells connecting the upper and lower levels: one leading from the main entrance to the underground garage, and the other descending from the upper level to the lower auditorium entrance. Because most visitors will reach the entrance of the Piano Pavilion from a new underground parking garage, it is likely that their first sight of the new complex will be Kahn’s masterful entrance portico. By situating his structure facing Kahn’s, Piano has reinstated the primacy of the west facade of Kahn’s museum and its dramatic entrance, altering the tendency of visitors up to now to arrive at the lower-level east door, which Kahn considered his building’s secondary entry point. In addition to the $135 million expansion project, which includes the creation of an underground parking garage, and the renovation of the Kahn Building, in late November visitors to the Kimbell will encounter a replenished landscape designed to preserve as much space as possible for open lawn ornamented with shrubs and trees. The Kahn and Piano museum buildings occupy a four-acre campus of public green space. Michael Morgan Landscape Architecture and Pond & Co., Atlanta, Georgia, designed the new landscape to extend Kahn’s vision and maximize green space to the greatest possible extent. The Piano Pavilion itself was designed with this goal in mind: its 19,200-square-foot green roof, which is tucked behind the front wing, connects to the lawn on its south side, offering the public a broad sweep of turf for repose and recreation. Some 320 new trees are being planted around the site, including 47 30-foot-high allée elms that will visually connect the Piano and Kahn buildings. The elms will reestablish the much-loved pattern of the trees that were removed for the construction of the new building—trees that once lined a street that had been transformed into a lawn before the Kahn Building opened in 1972. In addition, 52 mature yaupon holly trees, each measuring 12–15 feet tall, are being planted in the grove outside the Kahn Building’s west entrance. As it has for decades, the shade of the yaupons will provide a transition from the light of day to the magical light of Kahn’s interior. 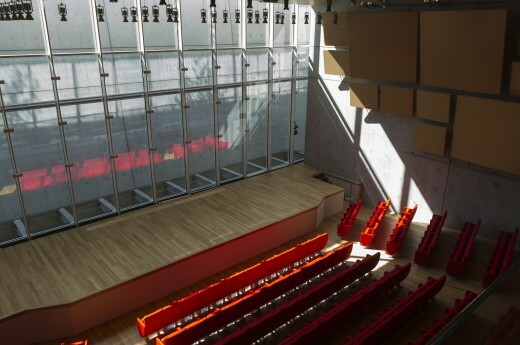 Highly energy efficient, with a green roof accessible to the public, the Piano Pavilion will use only half of the amount of energy required for the operation of the Kahn Building. The cool and silken sheen of the architectural concrete, an important element of the design of the Piano Pavilion, was achieved under the supervision of the Dottor Group of Venice, Italy, and Reg Hough of Rhinebeck, New York. The concrete was poured in place by Capform of Carrollton, Texas. The wooden beam system was designed in collaboration with the New York–based Guy Nordenson and Associates as structural engineers. The curtain walls and glazing systems were designed in collaboration with FRONT as facade consultants. The executive architect is Kendall/Heaton Associates, Inc. of Houston; the construction manager is The Beck Group of Dallas/Fort Worth. The mechanical engineers are Arup Consulting Engineers, London and Summit Consultants, Fort Worth. The project is being managed by Paratus Group of New York City. The Renzo Piano Building Workshop is the designer of Europe’s tallest building, The Shard—which opened in London in summer 2012 in time for the Olympics—and of some of the world’s most beloved museums, large and small, including three in Texas: The Menil Collection and Cy Twombly Gallery in Houston and the Nasher Sculpture Center in Dallas. Earlier this year, Piano was honored by one of Italy’s highest honors: he was proclaimed a senator for life. More information may be found at www.kimbellart.org. Kimbell Art Museum hours: Tuesday–Thursday and Saturdays, 10 a.m.–5 p.m.; Fridays, noon–8 p.m.; Sundays, noon–5 p.m.; closed Mondays. For general information, call 817-332-8451. Website: www.kimbellart.org. Address: 3333 Camp Bowie Blvd., Fort Worth, TX 76107. 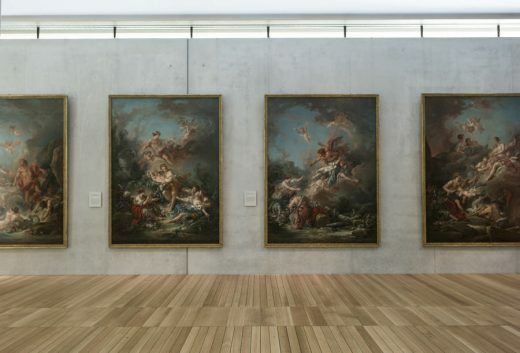 *Admission to view the Museum’s permanent collection is always FREE.